The Tavern, near House Park. Photo by Kevin N.
Though probably not well known, the March 26th U.S. Men’s National Futbol Team match against bitter rival Mexico scored a 2.6 TV rating in the Austin market — the second highest in the nation. Austin fans created Pancho Villa’s Army, the U.S.-based supporter’s group of “El Tri," the commonly used nickname for the Mexican national team. So believe it or not, Austin is a soccer town. And what are the best bars in Austin to get your own futbol fix? We've got the answer below. The original soccer bar and home of the American Outlaws, the official U.S. National Team Supporter’s Group, Cuatro’s is a must for any soccer fan. Cuatro’s is located in the heart of the University of Texas (24th and San Gabriel) campus and anyone walking into the bar will see soccer jerseys adorning the walls. Known for the excellent happy hours, and summer crawfish boils that pack the bar on a normal Sunday Funday, the soccer fun at Cuatro’s starts at 8 a.m. on weekends, when the Gunners supporter group of Arsenal (an English Premier League team) and Chelsea (another English Premier League team) start guzzling pints. While its UT location provides ample opportunity for huge soccer crowds daily, parking can been an issue, as the streets around Cuatro’s tend to fill up more than two hours before the start of the match. The Tavern is a new edition to the soccer watch list, based on its soccer-friendly management. 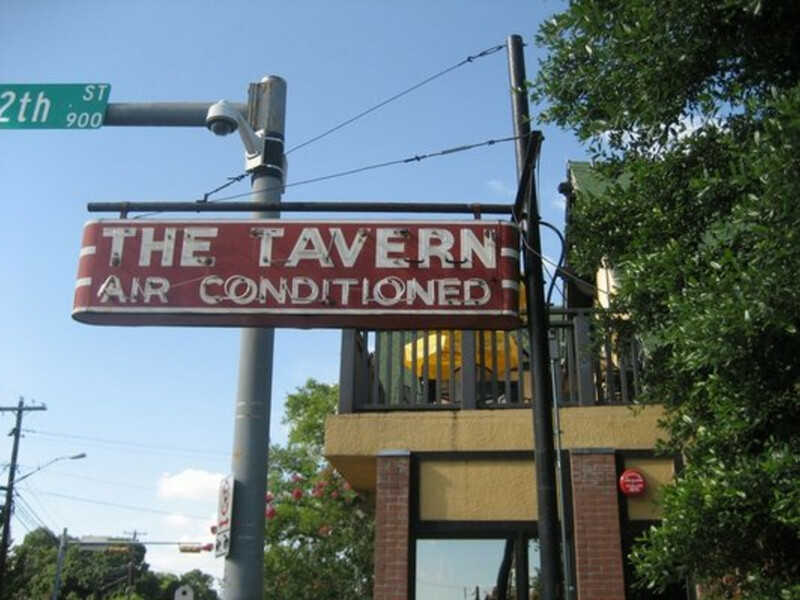 The Tavern was also recently selected as the new supporter’s bar for Eberly’s Army, the official supporter’s group of the Austin Aztex, Austin’s semi-pro soccer team. 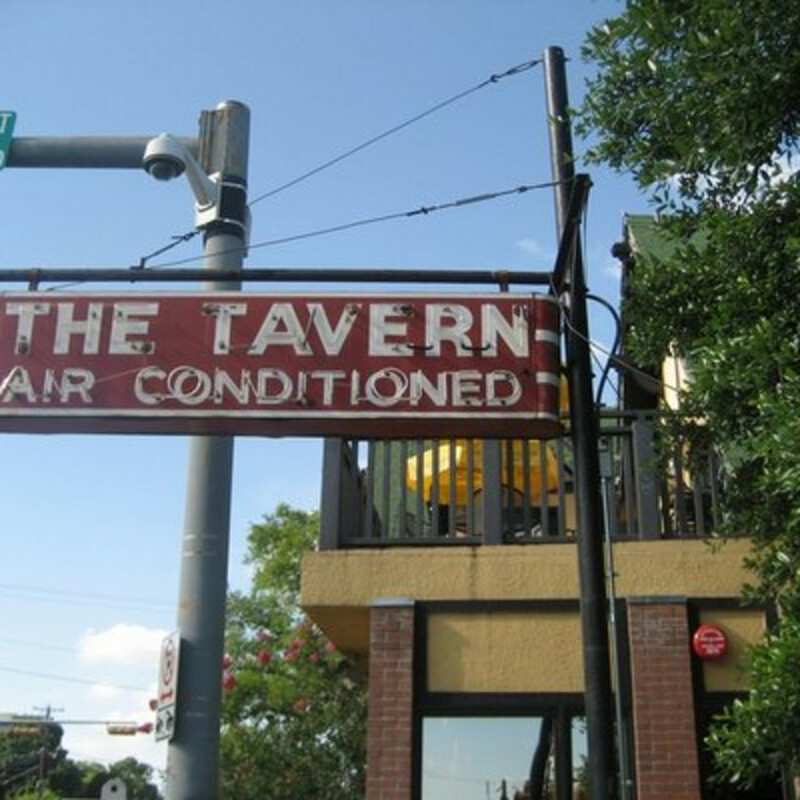 Located near House Park (at 12th and Lamar), the home field of the Aztex, The Tavern provides a convenient location for Eberly’s Army supporters to engage in halftime pints. A few of the bartenders are even Aztex season ticket holders. Matthew Gray, Eberly’s Army president, said the group chose the bar over three others due to not only the soccer knowledge of The Tavern’s staff, but because of the amount the wide liquor and beer selection, and the TV viewing options for soccer fans. The Tavern is one of a few bars to have the new beIN Sports channel, which many sports pundits think will revolutionize soccer viewing. The lone representative from North Austin, located off of Highway 183 and Payton Gin, Mister Tramp’s Sports Pub and Café boasts something none of the other four bars on this list has: a soccer field on the floor. That’s right, in the private room adorned with three 120-inch televisions, you can engage in your own little soccer game (in theory) as you enjoy dishes like The Club (chicken, turkey, bacon and avocado) and Crawfish Bisque Soup. The bar is owned by a Scotland-born, Italian-bred soccer fanatic, who hosts FIFA video game tournaments on an ad hoc basis, and was the former home of the American Outlaws before they moved to a more “central” location. Hannah Naglieri, Mister Tramp’s General Manager said the bar has opened early (8 a.m.) on Sundays for 30-50 Tottenham Hotspur (another English Premier League team) supporters for the past few years, and every TV in the bar is tuned to the Tottenham game on Sunday, no matter whom they are playing. Naglieri mentioned that no member of the group takes a seat on one of the bar’s comfy couches, preferring to crouch behind chairs, waiting to jump at the sight of a goal by the home team. 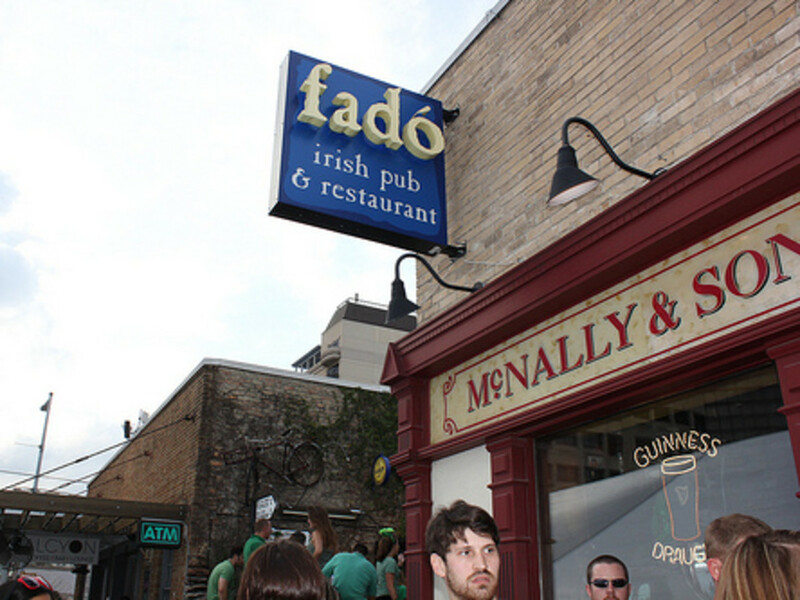 The other original soccer bar of Austin, Fado is the downtown complement to Cuatro’s in terms of soccer bars. Located in the heart of downtown at Fifth and Lavaca, the bar provides a home for supporters of Premier League stalwarts Manchester United and Liverpool. The bar doesn’t just open early on the weekend either. 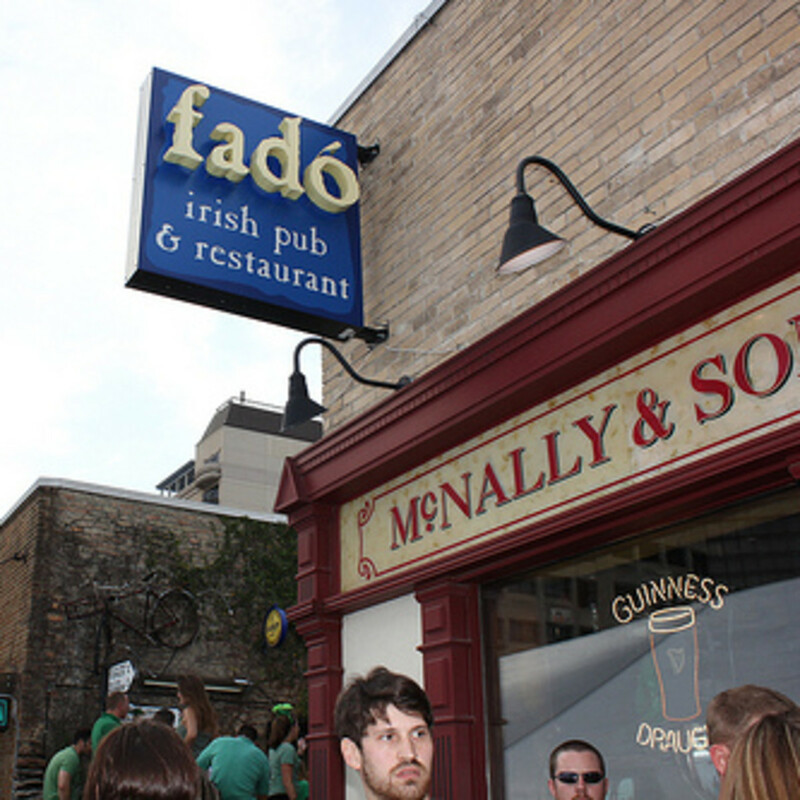 In an effort to continue to reach out to the “sports other than football crowd” Fado shows Six Nation Rugby matches, some of which start as early as 7 a.m. on weekdays. As Austin continues to grow as a national soccer hub, other bars have continued to pop up as hidden gems in terms of providing a great viewing experience for soccer. Chris Billig, Austin soccer enthusiast and founder of the nationally renowned website Gay4Soccer cited both The Jackalope — home of West Ham United supporters — and Black Sheep Lodge — where he was able to watch the first ever MLS game broadcast on NBC — as hidden soccer bar gems that are continuing to grow as destinations for futbol fans. Takoba, off of East Seventh, is the destination for watch parties of Pancho Villa’s Army, mentioned above. And the 8th best bar? You tell us in the comments below.